In what some observers will see as the latest sign of trouble for the global cryptocurrency industry, President Donald Trump has signed an executive order barring US companies and citizens from dealing in a Venezuelan digital currency known as the Petro, which was launched just last month. The president claimed that the cryptocurrency was an “attempt to circumvent US sanctions”, while the Venezuelan government called the US move a “new imperial aggression”, according to media reports of the matter. The Petro was said to have been aimed at providing a boost for Venezuela’s struggling economy, which has been plagued by hyperinflation and devaluation, and since 2014, a fall in the price of oil, the country’s leading export. According to cryptocurrency websites and media reports, the Petro had been designed to be a state-issued “sovereign crypto asset” backed by the country’s oil assets and aimed at helping the country’s beleaguered economy to regain its footing. The idea was that each token would be backed by a barrel of Venezuelan crude, although some critics were sceptical that this would in fact end up being the case. A pre-sale of the first block of Petro units was reportedly set to take place between 20 February and 19 March. In his executive order, which was issued on Monday and which may be found on the Whitehouse.gov website, President Trump says that he was taking the action against the crypto-currency in light of various existing pre-existing issues as well as in response to “recent actions taken by the Maduro regime to attempt to circumvent US sanctions by issuing a digital currency in a process that Venezuela’s democratically elected National Assembly has denounced as unlawful”. The Trump order then goes on to ban “all transactions related to, provision of financing for, and other dealings in, by a United States person or within the United States, any digital currency, digital coin, or digital token” issued by Venezuela’s government since 9 January. The Venezuelan government called the US move a “new imperial aggression”, and vowed to continue with its plans to make the Petro “one of the most solid and reliable cryptocurrencies in the world”. In a statement which may be viewed on the website of the Venezuelan Ministry of People’s Power for Foreign Affairs, it notes that Venezuelan President Nicolás Maduro, “on behalf of the government and the heroic Venezuelan people, rejects and strongly condemns the alleged and new unilateral sanctions of the Donald Trump regime against the Venezuelan people and our financial and economic system”. 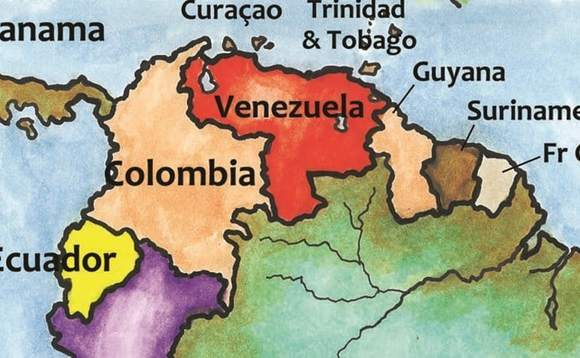 The statement goes on to note that Venezuela’s launch of “El Petro” – a “revolutionary economic mechanism…backed by more than 5 billion barrels of oil” – had been intended to “allow the country to break the moorings of the dollar and open the doors to the firm realisation of the prosperity of our economic and productive system”. Nevertheless, the Venezuelan government would, the statement concludes, “continue promoting the blockchain technology” in order to establish the Petro as a globally-recognised cryptocurrency.